What Are You Suggesting: An alteration to the method that pets are stored/collected. Who/What Does This Benefit: It benefits 'true' completionists. It gives them a cleaner format to view what pets they currently possess and have the option to change them at ease on hand to truly show off their achievements. Not only this but it improves the quality of the server by showcasing cleaner content and an alternative to the basic image that the vast majority of RSPS's currently use. Any Additional Information: Here's the bulk of the thread. 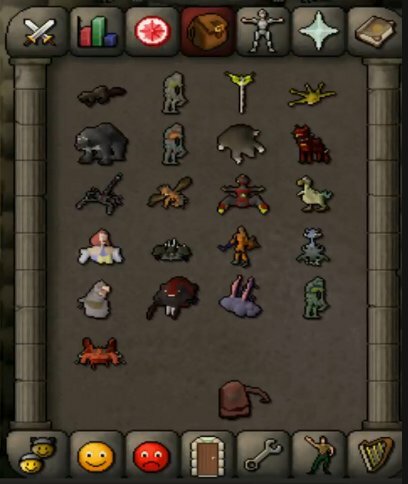 The system not only looks cleaner, but showcases model and name of the exact pets that you have to offer with the potential to take them all out at once to store either in your bank, inventory or a Pet House in your PoH (Suggested below). 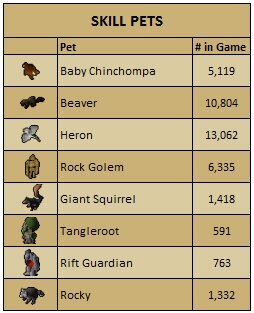 This not only looks cleaner and more professional, but allows a much simpler method of knowing which pet you have achieved. Quite a simple basis, the pet will act upon its own NPC ID; similarly to the Old School RuneScape system. As stated prior, this would allow you to have ease of access to your pets to show off whilst you are away from Home/Yanille and easily switch between them to impress others. Now I know that some aspects of skilling on Pauper can seem like a long grind with no reward apart from that end goal of level 99 or 200M experience. To spice this up, I'm recommending the inclusion of skilling pets. 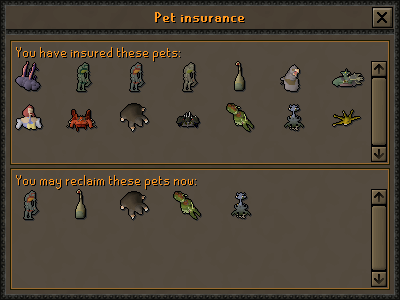 Not only would this be a nice surprise to obtain on your way to your goal, but the current pet market is limited to those who engage in PvM activities. Upon release of the server, we're bound to attract some skillers; a market that never attracts much content to them due to the limited amount of players who tackle this challenge. This would give skillers a method of showcasing their achievements besides a skill cape in a similar fashion to those who have grinded a boss for their achievement.